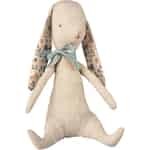 Albin, the bunny boy with magnetic hands, is made of soft linen and he wears a beautiful bow around his neck. Due to the magnets in his hands, he can hold on to anything metal, including a metal Maileg Easter egg. (Metal egg can be purchased separately in our web shop.) 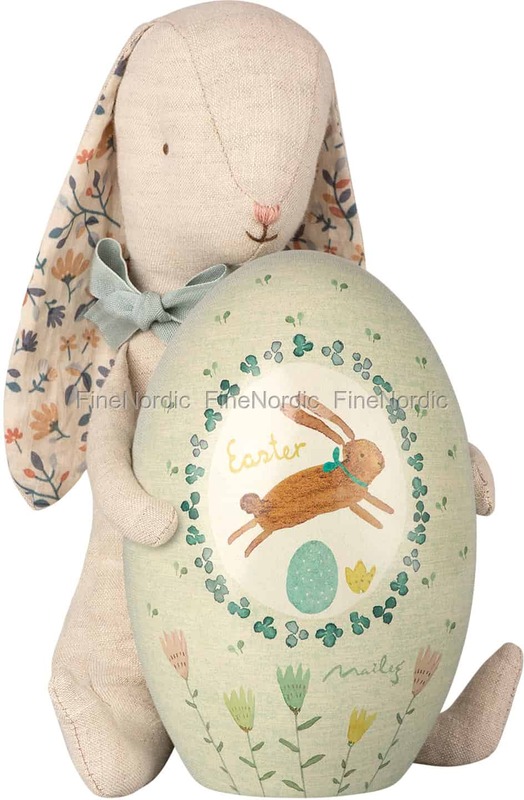 He’s a beautiful Easter decoration and just a fun bunny to hang around with. He is 21 cm tall and you can take him with you, wherever it is you want to go. Visits to grandma, the park or the zoo will be more fun when Albin gets to tag along. Don’t worry if he gets dirty during one of those outings, because he can just hop into the washing machine and get washed at 30 C. After that, he looks just like new and is ready for more play adventures. 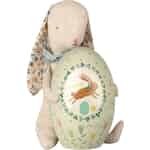 Albin is a wonderful companion for a little boy or girl.